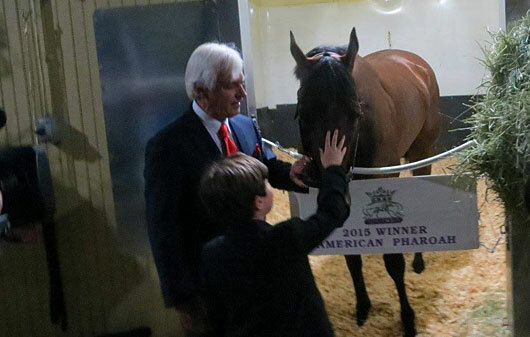 With the connections of American Pharoah participating in a questions and answers Thursday in celebration of the one-year anniversary of their Triple Crown triumph, I thought it was a good time to post some images of that memorable day and the days leading up to it, as well as one personal shot from the Preakness. 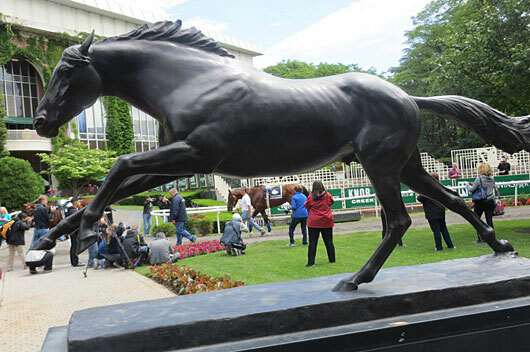 American Pharoah is dwarfed by the presence of Secretariat as he schools in the paddock. 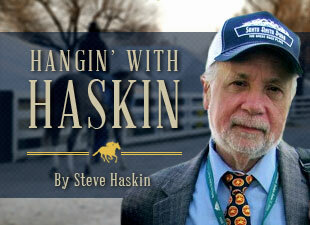 That would no longer be the case a few days later. 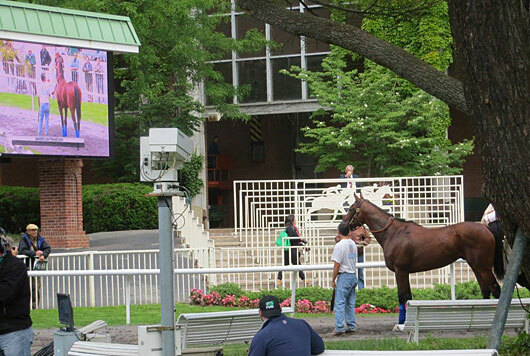 The always alert American Pharoah stops to admire his own image on the paddock screen. 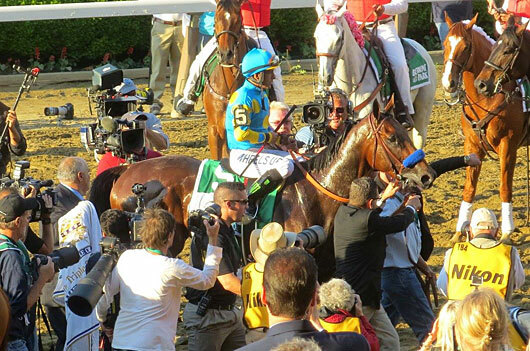 Pharoah checks out the massive crowd cheering him as he approaches the starting gate. 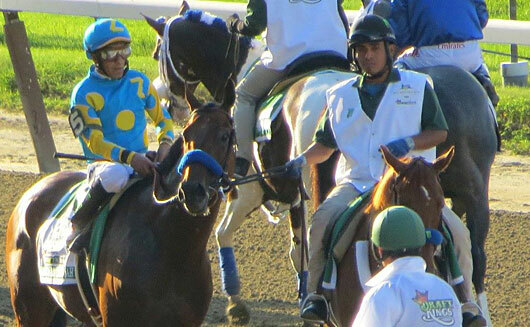 The rush is on to get close to the first Triple Crown winner in 37 years. 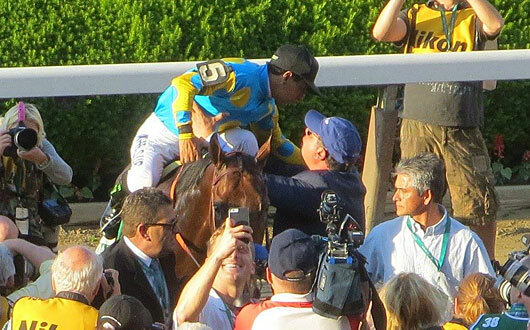 One person is able to get an unforgettable selfie. 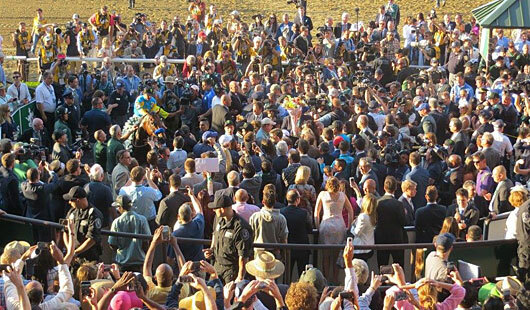 Good luck trying to find American Pharoah in this mass of humanity, unlike anything seen before. 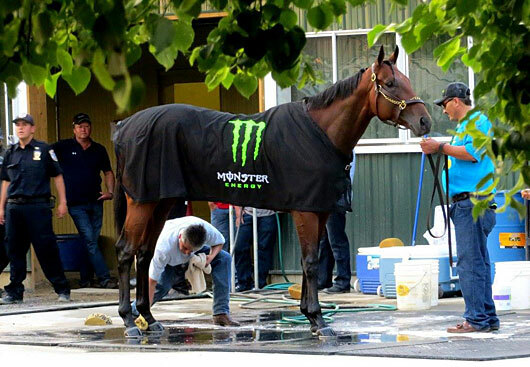 All is quiet and serene back at the barn as racing's "Monster" strikes a majestic pose. 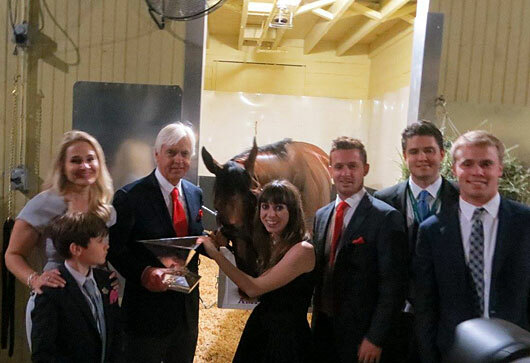 A Baffert family portrait that includes all of Bob's children. 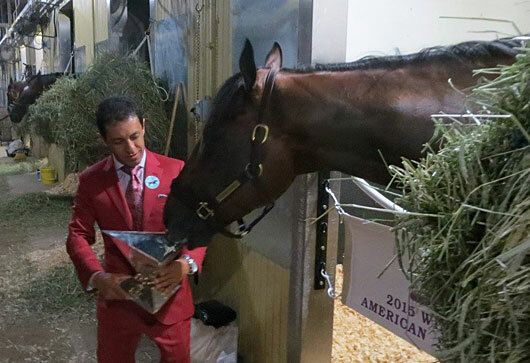 Pharoah wants a piece of the Triple Crown trophy presented to him by jockey Victor Espinoza. 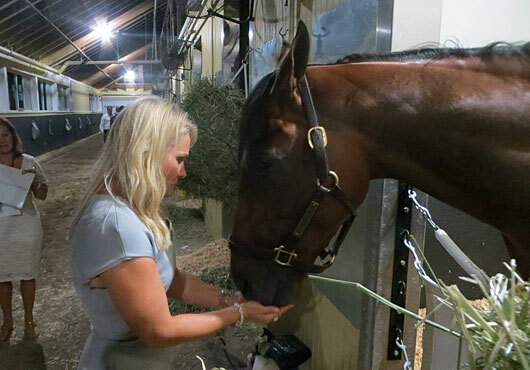 Jill Baffert can't resist one final feeding. 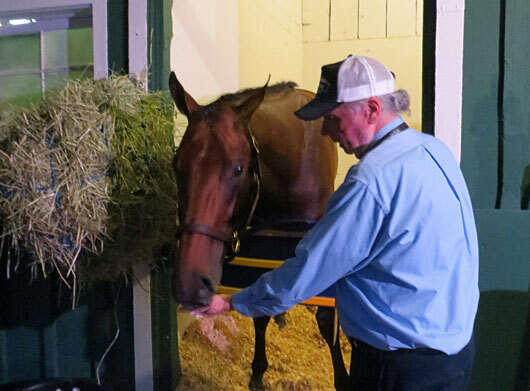 Bob and son Bode share a tender moment with Pharoah before calling it a night.